If you’re looking for batt insulation to improve the energy efficiency of your home in Knoxville, Tennessee, turn to the professionals at 31-W Insulation. Since 1972, we have been providing the products and installation services homeowners can rely on when they need insulation in their houses. As a company that is family owned and operated, we understand the needs of our customers and continue to provide exceptional and dependable service to this day. We provide a free consultation – One of our knowledgeable insulation specialists can answer your questions, assess your home’s current insulation needs, and provide you with an estimate. We never use subcontractors – All of our installers are our own fully trained employees who uphold our high standards of workmanship and customer service. We partner with top brands – The batt insulation we offer comes from leading manufacturers such as Owens Corning® and CertainTeed, who are known for creating reliable and long-lasting products. 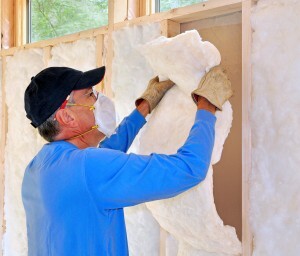 There are many advantages to having 31-W Insulation properly insulate your home. In addition to improved energy efficiency, which can save you money on your utility bills, proper insulation improves the air quality and reduces noise penetration from outside for a more peaceful home environment. If you’d like to learn more about our batt insulation products and installation services, contact 31-W Insulation today. We are happy to schedule a free consultation at your home in Knoxville, TN.